Discover what you can learn and where a computer information systems concentration can take you. The Computer Information Systems (CIS) program teaches you how to apply information technology to the development of business application systems. Our program maintains strong connections with businesses in the Central Valley to provide you with valuable internship opportunities. 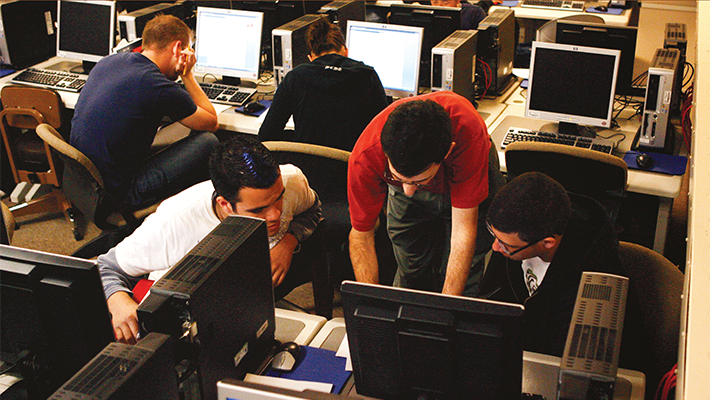 Students studying CIS are interested in acquiring hands-on experience in the computer lab, collaborating with people on a team, learning programming skills, and developing information systems. Students will learn spreadsheet modeling, programming, systems analysis, network management, and database management. "What I enjoy most about CIS is the level of encouraging support I have received from the professors. I also enjoy the hands-on experience in the lab."